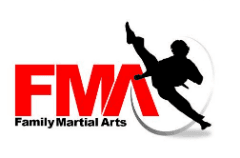 Martial Arts Classes for Families. Family martial arts programmes develop team spirit which helps develop and strengthen the unity of the family. When individuals work together as a team, their individual talents will naturally improve. Martial Arts has always been a family based activity but in many schools parents are mere spectators. Martial Arts has way too many benefits to be a spectator sport! Anyone can do it, you don't have to be fit to start and your confidence will grow week by week. Parents will get into great shape, become more physically confident and provide a wonderful role model of health and vitality. Not only will your child also have the best time of their life with us, develop a set of successful life skills that will make them unstoppable but also they will also be learning how to defend themselves against bullies and strangers. When would you like your child to have these successful life skills, incredible self protection abilities and your whole family to be working together at the awesome goal of self-improvement? Lets get you started! There aren't many programmes that both parents and children can benefit from, not to mention participate in together. Well, our specialised family martial arts programme will help your child build their confidence, develop a winning positive attitude. and learn real life leadership skills while you ALSO lose weight, regain your youthful body, increase flexibility and feel 10 years younger. Parents watch your kids confidence and life skill soar! Martial Arts Teaches Kids Everything They Need to Know About Self-Defence, Fitness, Confidence, and gives them the Self-Discipline and Life Skills that Help Create Future Success in Life! Mums and Dads save time by working our with your kids and be their role model! For parents our program is a total fitness package combining strength, stress relief, endurance and flexibility. We use the latest technology and techniques, combined with martial arts wisdom that’s thousands of years old. We’ll develop your muscular systems, build strength and chisel out definition. And if that doesn’t sound like enough. You also get cardiovascular and metabolic conditioning that evaporates calories. The result is a tremendous increase in energy and stamina. So why wait? Give your family the gift of fitness, self defence, confidence and life skills now!